November 18, 2016 (San Diego)—A decades-long battle over the proposed Gregory landfill has ended. 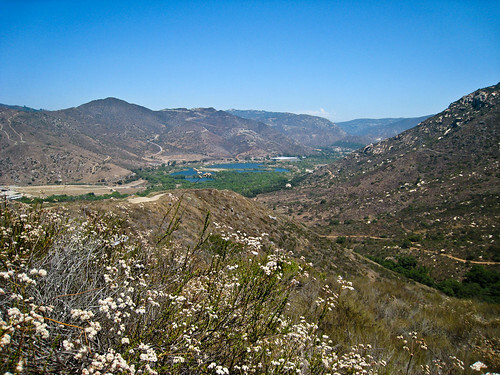 Yesterday, the Pala Band of Mission Indians announced the tribe has complete purchase of more than 700 acres of the property—including most of Gregory Canyon and Gregory Mountain, a sacred site known as Chokla. October 14, 2012 (Pala) – A coalition fighting to stop out-of-town investors from developing a garbage dump in Gregory Canyon near Pala will rally at the Pala Rey Youth Camp on Saturday, October 20 from 10:00 a.m. to 2:00 p.m. on October 20. Robert Smith, Chairman of the Pala Band of Mission Indians and Shasta Gaughen, EPA Director of the Pala Indians will be among the speakers and honored guests. The event will also feature traditional bird singing to protect Gregory Canyon as well as information on the fight to save the sacred mountain, which includes rock paintings and a medicine rock. March 14, 2011 (San Diego) --I applaud Supervisor Diane Jacob's endeavors to keep the Powerlink out of her district because of concerns for the environment. However, I can't for the life of me understand why she would support the Gregory Canyon dump in the North County, where the canyon is also home to eagles and various endangered species, where it will desecrate Native American sacred sites, and where money seems to rule.